Run out of disk you say, eh? In the rare occasion, that when you are executing a project from the Information Services Catalogs, and the SysAdmin didn’t foresee some, unforeseeable event causing the disk to run out of space. 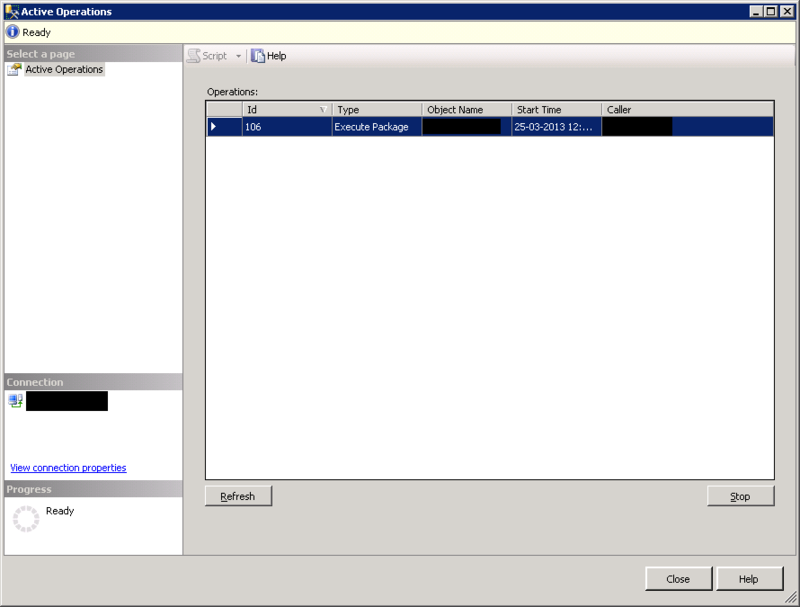 And the execution doesn’t fail, just waits for more disk to become available, you will maybe be tempted to stop the operation through the ‘Active Operations’ pane in SSISDB. This cannot be done, simply because, catalog.stop_operation which is the stored procedure called, also needs to write to disk. As the following screen shots will verify, you need to restart the instance. 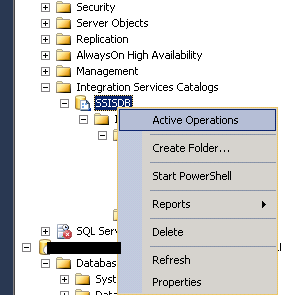 In SQL Server Management Studio (SSMS), select the Integration Services Catalogs, and right click the SSISDB. Click Active Operations. When you select the operation, the option to Stop the operation becomes available. You will the be prompted, if you really want to Stop the operation. And if you select Yes, you will be met by the following error. So, in order to get the operation, which is running, to stop, you need to restart the whole instance. SUN, Oracle, whatever… How do you sleep at night?